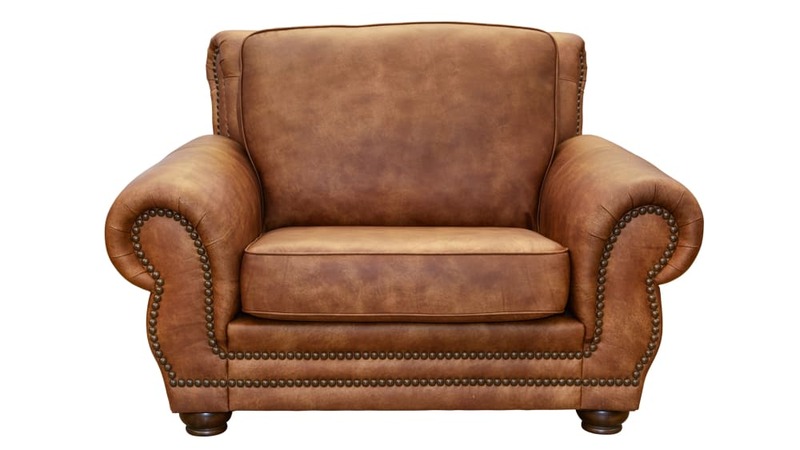 Renovate your living room with this stunning transitional leather Texas-sized chair ½. 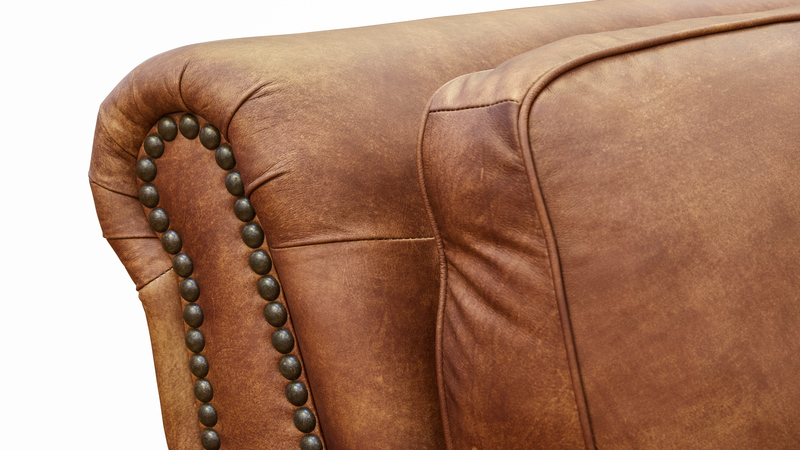 The fawn leather and the antique nail heads are sure to add a beautiful touch to your home. 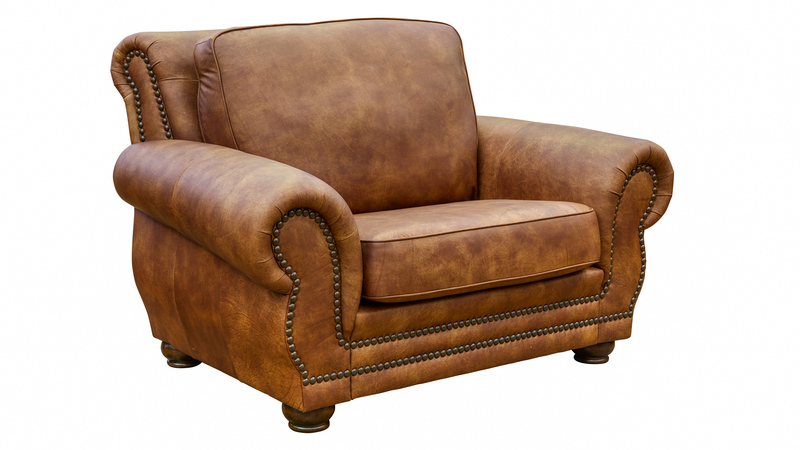 Invest in maximum comfort and quality for your family and friends for years to come.